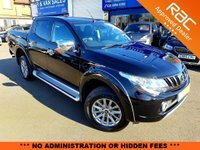 One Registered Keeper, Balance of Manufactures Warranty (March-2020), 2 keys and Serviced to the Manufactures Service Schedule for this Sale +++ An RAC Approved BuySure Preparation Inspection this includes - RAC 82 Multi-Point Inspection, Car Data History Check, RAC Accident Care & 12 Months RAC Breakdown Cover including Roadside, Recovery and At Home.This is the first used vehicle code of practice to be Approved by The Chartered Trading Standards Institute ____ WE DO NOT CHARGE ADMINISTRATION FEES ON TOP OF OUR ADVERTISED PRICES ____ Grimsdyke Car Sales is a Family Run Business Since 1964. We have some very competitive finance packages available please visit our website www.gssgarage.co.uk for more information. Part exchanges welcome please enquire.